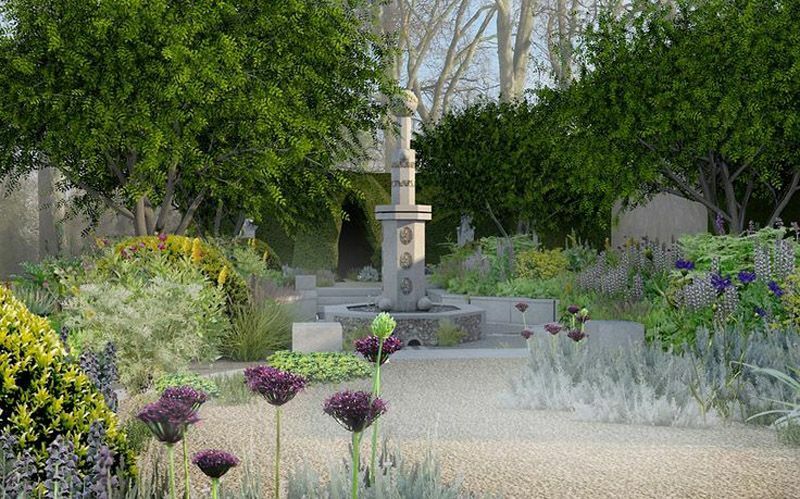 Last week the grounds of the Royal Hospital in Chelsea, London opened it’s doors for the annual Chelsea Flower Show. 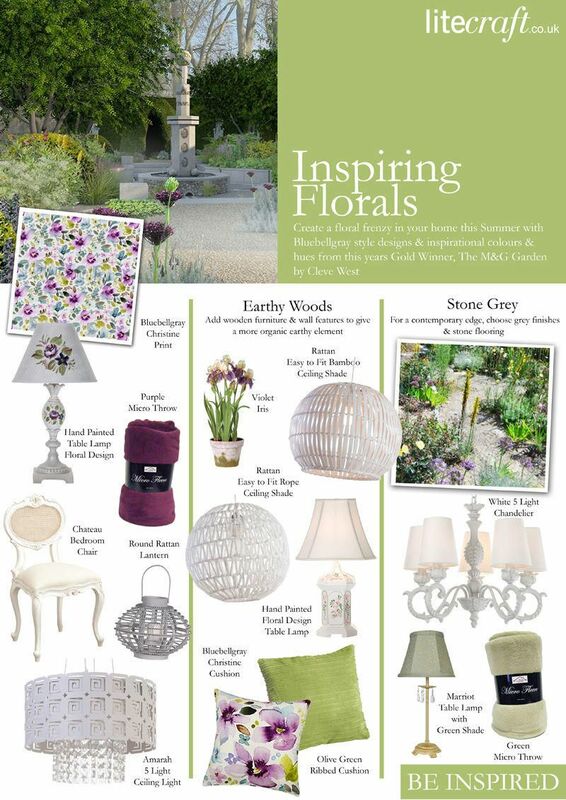 Inspiring Floral themes filled every nook and cranny, wild flowers mixed with herbs whilst sculptural figures sat along side running streams and fountains. 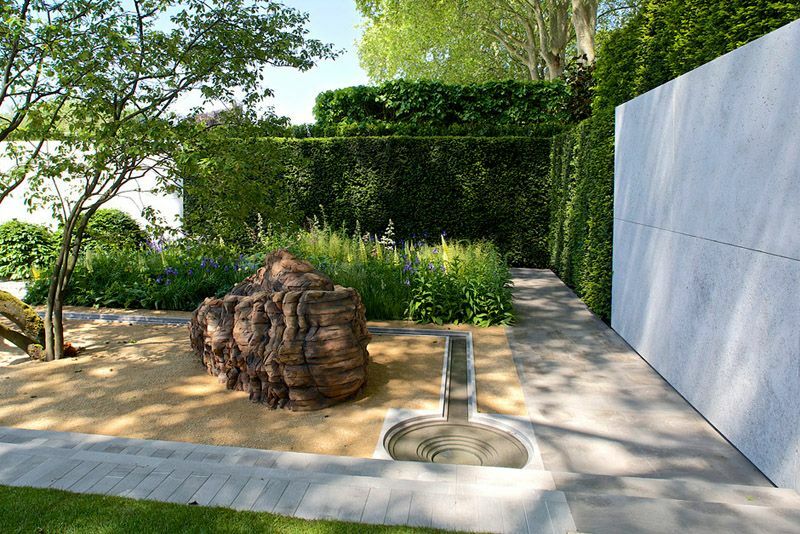 The Chelsea Flower Show was originally known as The Great Spring Show and is the most famous flower show in the UK and possibly the world, it has been an annual event since 1913 with the exception of a few years during both wars and is attended by most of the Royal Family every year. 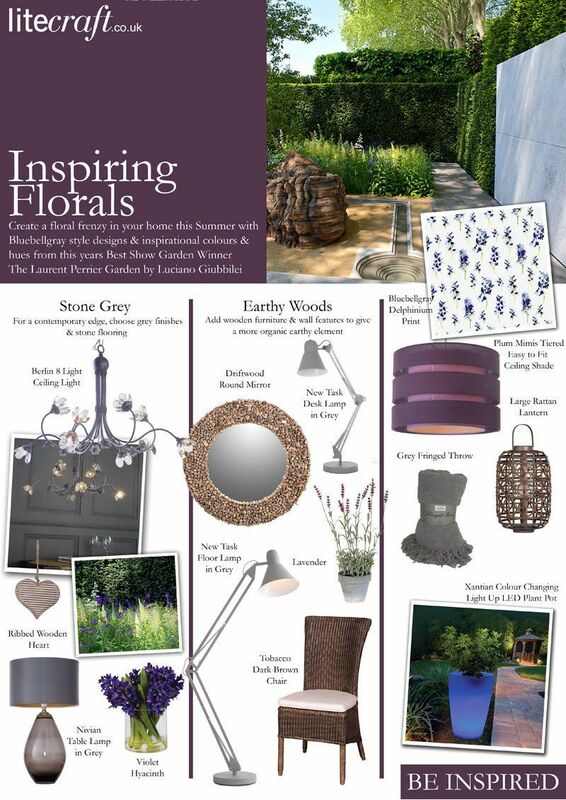 We picked a few of the award winning gardens from the show and created a look book for each below.. The garden featured lots of bold green foliage which contrasted with stone grey walls, blue and violet hues and hints of soft lemon from the flowers gave the garden an enchanting feel whilst earthy wood sculptures and slim-line trees gave a more organic element, the blue hues also contrasted well with the raw grey stone walls. The garden included both contemporary and traditional features so would be easy to incorporate into any home. 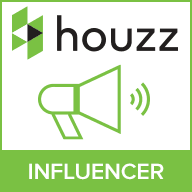 To recreate this look choose a selection of grey tones for your base colour, keep to the blue and purple spectrum for accessories and pops of colour. 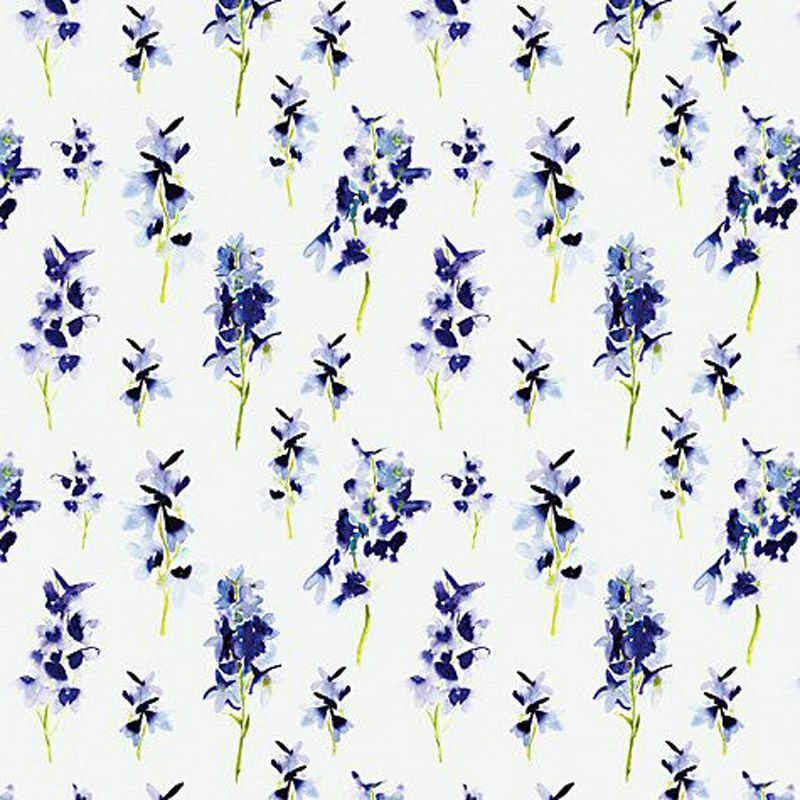 Bluebellgray’s Delphinium print fabric would be ideal as it includes lovely blue and purple hues, add green foliage and wood ornaments for an organic element. 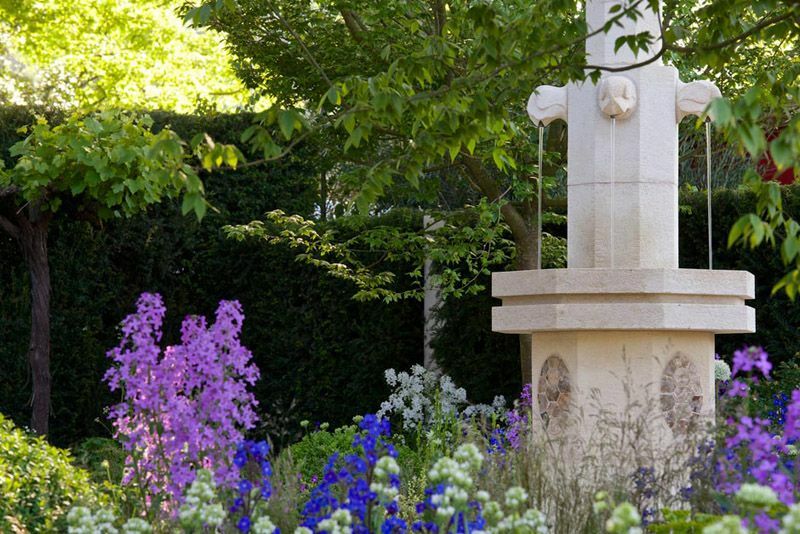 Cleve West’s garden was inspired by Persian culture, showcasing again a palette of violet, blues and purples, but this time there is an introduction of greens and yellow blooms together with limestone walls and a beautiful centred fountain. 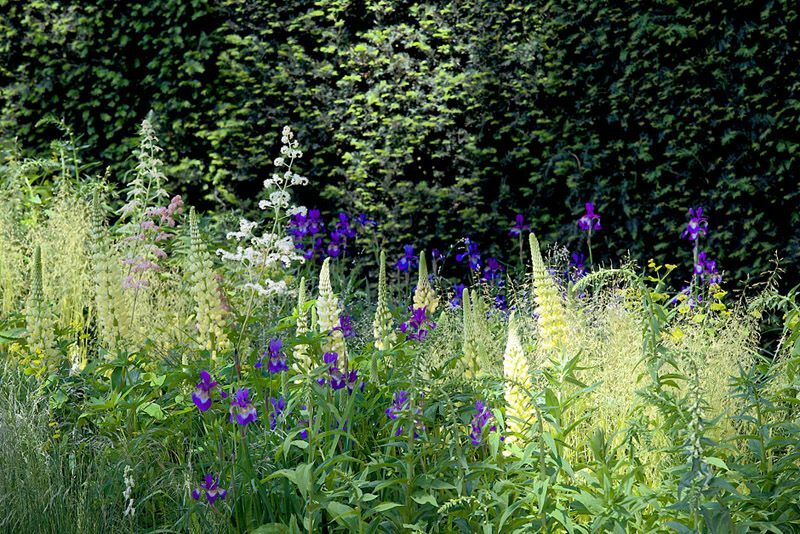 The garden was more sculptural and enchanting that the previous. Get the look by introducing gold finishes together with white sculptural pieces, white wood effect finishes will also work well. 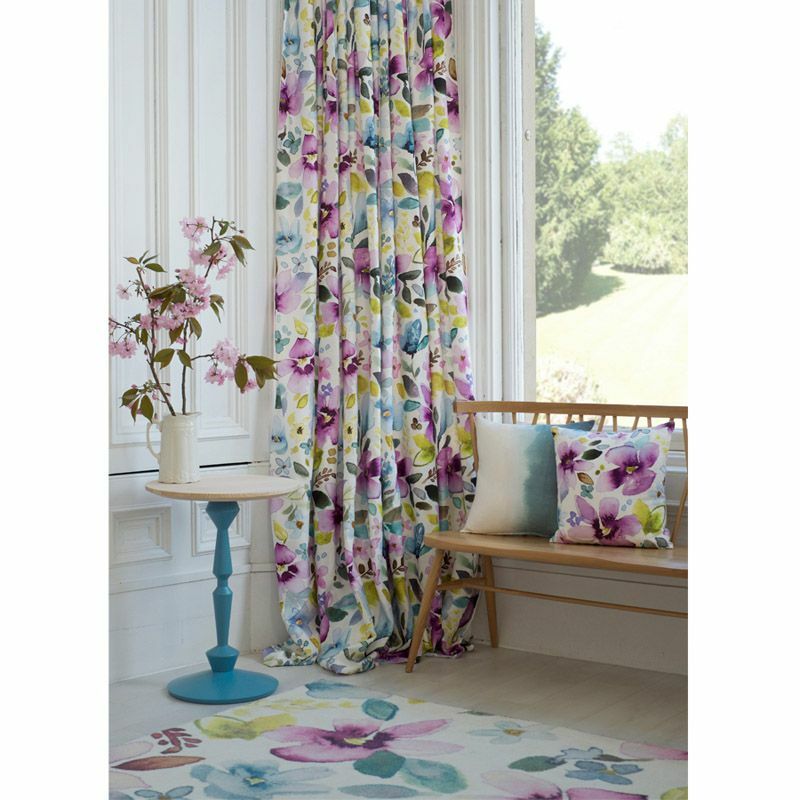 Add a pop of blue and purple with the use of scatter cushions and throws, Bluebellgray’s Christine Fabric collection is a great design to incorporate into this look with it’s yellow and green tones mixed with purple and pink. Finally add more green foliage to bring in the green hues of the garden.